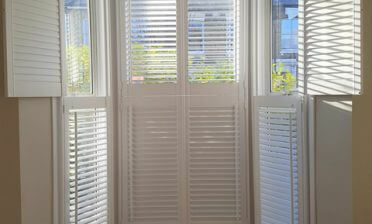 A customer approached us looking for some shutters for the window of their living room at the front of their home. 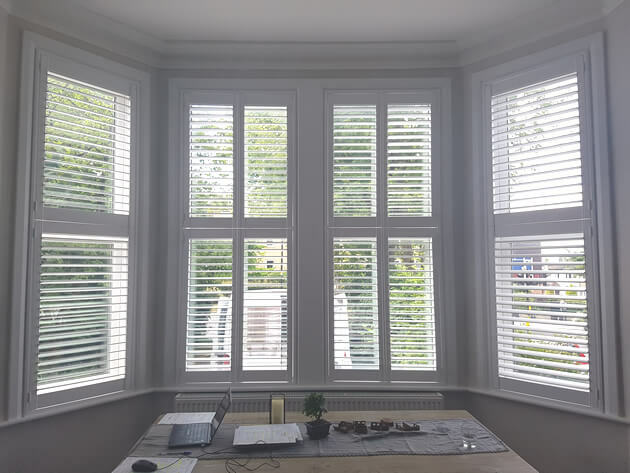 They were looking to make the most of the natural light that comes in through this bay window whilst also being able to control and regulate privacy, especially at the lower level of the shutters. Mark was on hand for this home in Brockley, South London, fitting some shutters that were designed to work with the exact windows and area. 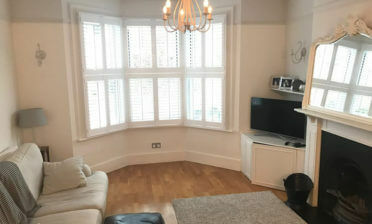 The customer was keen to find a solution which would fit exactly with the different sizing of the windows and blend in with the existing decor and look of the home. These Tier on Tier shutters were the perfect solution for the job as they not only look the part, but also cater for the privacy needs of the customer. Our Tier on Tier shutters split in the middle, allowing for the shutters to open, close and adjust separately on the top and bottoms of the windows, as well as be adjusted separately throughout. 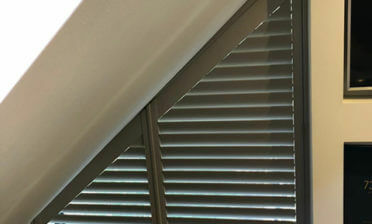 They are our most flexible solution and work amazingly well with bay windows like this one. We also created the two middle shutter sections using bi-folding shutters which allow the customer to easily open the shutters to the side, while taking up less room and making it easier to stream light in to the room through all windows. The shutters were created using MDF from our Antigua Range and are made up of 64mm louvres with hidden tilt rods over all panels, basically allowing for the shutters to be adjusted without any need for visible tilt rods! We finished the shutters in pure white with matching hinges which matched the shutters look with the original decor and window frame.